Munchery is one the most successful companies in the crowded food delivery space, having raised over $120 million, including an $85 million round in 2015, at a reported $300 million valuation. With that kind of success comes the need for different skills, and founder and CEO of Muchery, Tri Tran, has decided that someone else should be the one to take the company forward. 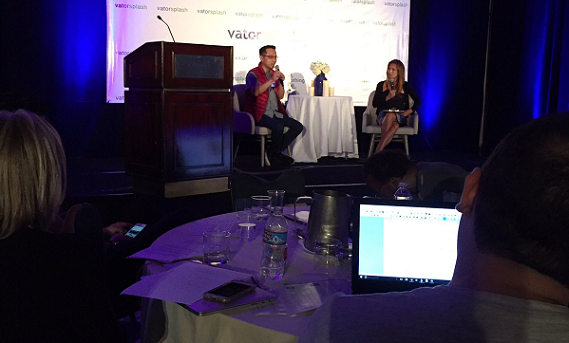 The news was first reported on Wednesday, and Vator was lucky enough to have him on stage on Thursday at our 6th annual Splash LA conference, where he discussed that decision and what he wants from the company's next CEO. "Why don't you want to be the person to take to the next level," Vator CEO Bambi Francisco asked Tran. "Candidly, a company goes through stages of growth, and I'm so proud that we've gotten to a level now that we can actually attract world class talent to take it to the next level. As you know, running a company means you play to your strengths. What are you good at, what am I good at? I might be very good at getting nothing to this stage, and then someone else can be very good at getting from this stage to the next stage. The next stage might be an IPO, or whatever, and I'm happy to be a part of that," he said. So what kind of person is Tran looking for to succeed him? A product guy, or a sales CEO? "It really is hinging on a lot of factors. No one is going to be perfect in every aspect of it. So, whether this person is really at marketing oriented productivity partnerships, or one way or the other, they're going to bring on talent," he said. "For us, we're talking to a handful of candidates, the process is still ongoing, but I'm really proud that we got to where we are, to attract this amazing talent." Former Shutterfly CEO Jeff Housenbold, who recently joined Munchery’s board, is said to be in the running for the job. "The board did ask me if I’d consider it and I told them that I would," Housenbold said in an interview with Bloomberg.